The STEPCRAFT-2/300 is the smallest machine in the new STEPCRAFT-2 series of machines. With a footprint of 430mm x 345mm, the 300 can be a great addition to your desk or workbench. It may be small in size but it contains all of the new features and more rigid construction that the rest of the STEPCRAFT-2 line up. The 300 will handle material up to 300mm x 210mm, so there are lots of projects this little guy can tackle. As with all STEPCRAFT machines, you have the ability to quickly interchange attachments so you can go from milling to 3D printing, engraving to craft cutting and much more in seconds. STEPCRAFT is the MOST UNIVERSAL machine on the market with a very competitive price. STEPCRAFT machines feature true German design, innovation, precision and craftsmanship. 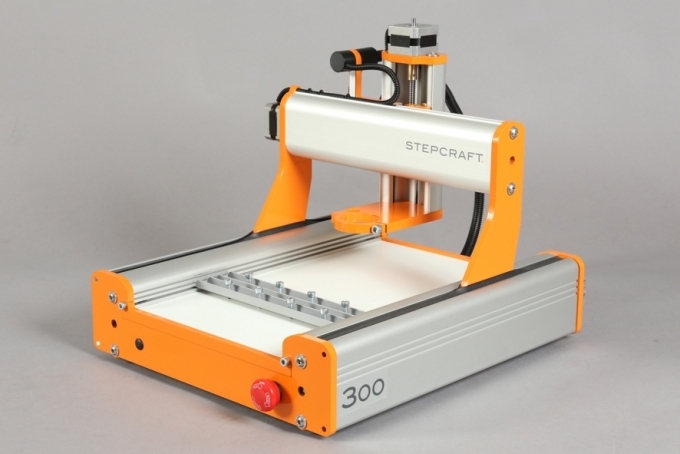 Click the button below to add the STEPCRAFT 300 - Desktop 3D-System Kit to your wish list.